With a bit of know-how you can turn the clock back five or ten years. Read on for our beauty editor’s round-up of the best products to get your hair looking fab in a jiffy. Short, medium or long – great looking hair radiates health and vitality. So keep colour clean and glossy, with smooth, polished ends. 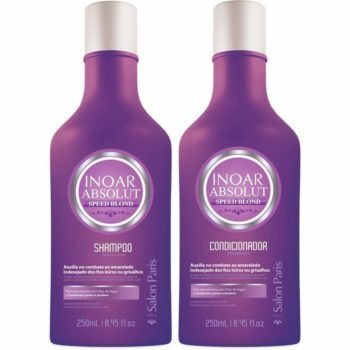 Inoar Absolut Speed Blond Shampoo and Conditioner, R280 for 250ml each, take the yellowness out of blonde and grey hair, leaving colour looking super vibrant. 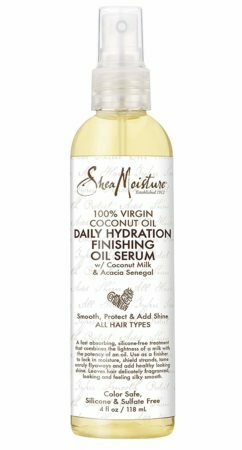 Shea Moisture 100% Virgin Coconut Oil Daily Hydrating Finishing Oil Serum, R249,99 for 118ml, helps to switch on the shine and is perfect for afro hair types. You don’t need big hair, just a thick handful – after all, isn’t that the hallmark of a healthy head of hair? If that doesn’t sound much like your hair at all, don’t worry. 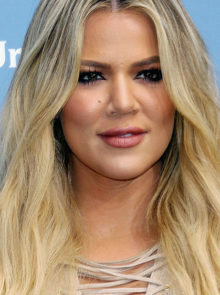 You can easily recreate voluptuous locks with layers of fine volumisers which work to thicken each strand of hair, leaving you with amazing volume from root to tip. With an overwhelming array of products that promise to maximise volume, these are some of our faves right now. Schwarzkopf BC Bonacure Collagen Volume Boost Micellar Shampoo, R279 for 200ml and BC Bonacure Collagen Volume Boost Whipped Conditioner, R295 for 150ml, have been formulated to thicken hair without weighing it down. And Ghd Total Volume Foam, R260 for 200ml, is a fab styling mousse for loads of volume. Make sure to keep your hair nourished: massage the scalp, use hair masks and leave-in treatment that boost the condition from roots to tips, calming frizz and unruly strands. 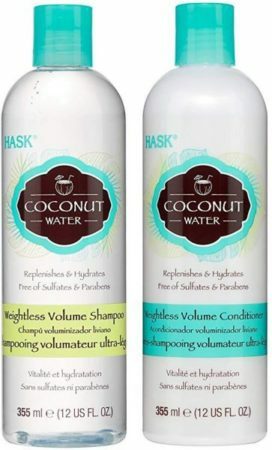 Hask Coconut Water Weightless Volume Shampoo and Conditioner, R149,99 for 355ml each, are great value for money and leave dry hair feeling luscious. The Body Shop Rainforest Coconut Hair Oil, R170 for 200ml, is an overnight softening hair treatment that brings back shine and health to dull, tired looking hair. 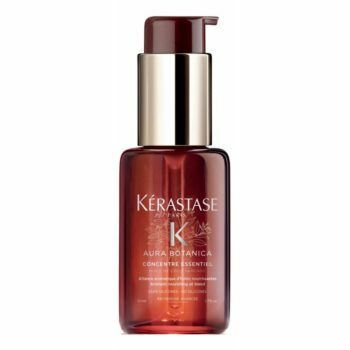 Give yourself ten-to-fifteen minutes of peace and massage in a little Kerastase Aura Botainca Concentre Essentiel, R435 for 50ml. It’s a fragrant aromatic nourishing oil blend, with orange peel and rosemary oils plus sunflower seed and jojoba to help add gloss and shine.